In the book of Genesis, God states that: “It is not good for man to be alone.” God neglected, however, to elaborate on just how hard it would be for people to live together. In the biblical story, it didn’t take very long at all for Adam and Eve’s relationship to encounter serious trouble, and THEY were living in the Garden of Eden. It should come as no surprise to us then that relationships continue to be the central struggle of most of our lives. Whether it is with a significant other, a family member, a friend, a co-worker or a stranger on the street, the relationships we have with the other people in our life can be a blessing or a challenge and frequently they can be both at the same time. They are the source of our greatest joy, and of our greatest pain. We all want to be loved. There is something deeply affirming and gratifying about having people in your life that want to be close to you either emotionally or physically. It gives us hope that the universe may not be as cold and lonely as we otherwise might imagine. None of us is perfect. We all have moments when we don’t feel loveable: a bad hair day, a bad mood day, or just a bad day period. We all have things about ourselves that we would like to change. It is important to have people in your life that can see past your flaws even when you can’t. The people in your life that truly love you know about all the skeletons in your closet and don’t care. They are the people who have seen you without your make-up or your game-face. They are the people who know who you truly are and not just the image that you project to the rest of the world. True love can really only happen when you truly know someone. It is amazing how many supposedly serious relationships are based upon false pretenses. The world can be a very difficult place in which to live, and we cannot be vulnerable to everyone all the time, but we all need at least one or two people in our lives to whom we can reveal our truest self. On August 6th, many Christian churches observe the Feast of the Transfiguration, which memorializes an event mentioned in the gospels where Jesus takes three of his disciples to the top of a mountain to reveal to them who he truly is. We know from the gospel accounts that Jesus was closer to some of his disciples than he was to others. It was only to Peter, James and John that Jesus felt comfortable revealing his innermost self. Perhaps in that moment of transfiguration, when Jesus revealed his true nature to the three disciples on the mountain, his desire was to be known and loved for who he truly was, and not just for what others wanted him to be. It is a desire that I believe most of us share. 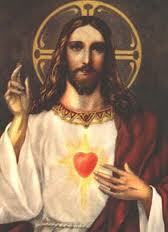 There is an iconic image of Christ holding open his chest to reveal his heart. It is meant to convey just how vulnerable God is willing to be in order to be loved by us. To open your heart to someone and reveal your innermost thoughts and feelings is an extreme act of vulnerability, but it is really the only way to be truly loved. If life were simply about survival of the fittest we would probably never allow anyone else to truly know who we are; it would simply be too risky. Luckily life appears to be about more than just survival and we each have the opportunity to be known and loved by others in a way that helps us overcome our own humanity. Perhaps the desire to be loved for who we are and not just for what others want us to be is a trait that humans have in common with God. Maybe that desire to be known and loved is a part of the divine image in which the book of Genesis claims we were created. Who knows you? Who are the people in your life that know all your baggage and don’t care? Who can you be completely and totally honest with? Pay attention to the people in your life that pay attention to you. Hold on to the people that want to know what makes you tick; the people that know your foibles; the people that can anticipate your thoughts and actions. Those are the people that want to know and love you for who you truly are, and aren’t just looking to cast you into a role that they have already written. As the story goes, immediately after Adam and Eve took the bite of that forbidden fruit, their first inclination was to try to cover themselves up and conceal themselves from God. Our reality as humans living in a broken world is that we aren’t able to reveal ourselves completely to every person we come across. Not every relationship in our life is meant to be deep and meaningful, and they aren’t all meant to be life-long. But pay attention when someone opens their heart to you. It is in those knowing and loving relationships that we experience how it feels to see another person with open eyes and a vulnerable heart. It might just be the way that God looks at us.